Vendors are all packed in side by side selling fresh meat, fruit, veg, seafood, souvenirs and yummy street food under canopies; all at very reasonable prices. Their goods fill nearly every bit of space right up to the old train tracks in the middle, which just gives you some place to walk. That is until canopies and tables are pulled back, people move off the tracks to make way for the train to roll down the old tracks and squeeze through like this is just a normal event! Well here it is as the train comes through every day, 3 times in each direction. It’s a surreal experience and very entertaining, especially seeing the edges of the train going over the top of produce on the floor. Just remember this is a full-size train rolling at a reasonable speed and it takes right of way, so be careful! The train line was closed for several months and reopened on 1st April 2016. Trains depart Maeklong and head to Banlaem. Here are the departure and arrival times for Maeklong (alternating), just make sure you’re here at least 15 minutes before them to see the spectacle! You can easily see the train twice if you come for an arrival. 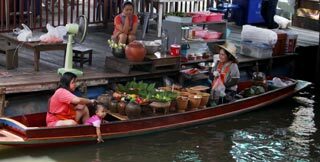 Train times: 6:20am, 9:50am, 10:20am, 1:45pm, 2:30pm, 6:22pm Market is open daily You can easily combine this with a trip to the recommended Amphawa floating market and/or Tha Kha Floating Market. 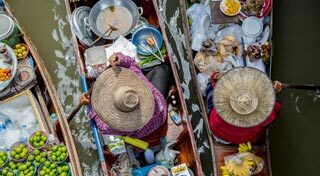 Meaklong Railway Market, Amphawa Floating Market and Tha Kha Floating Market are each 10km apart from one another so you can see two or all three in one day. A possible itinerary would be to see the 9:50 train come in at Maeklong, then head to Tha Kha Market then Amphawa. See below for further transport info. Getting Here You could do this as part of an organised tour which might set you back around US$60. Alternatively you can make your own way here and back for under US$9 and work to your own schedule rather than that of the organised tours. 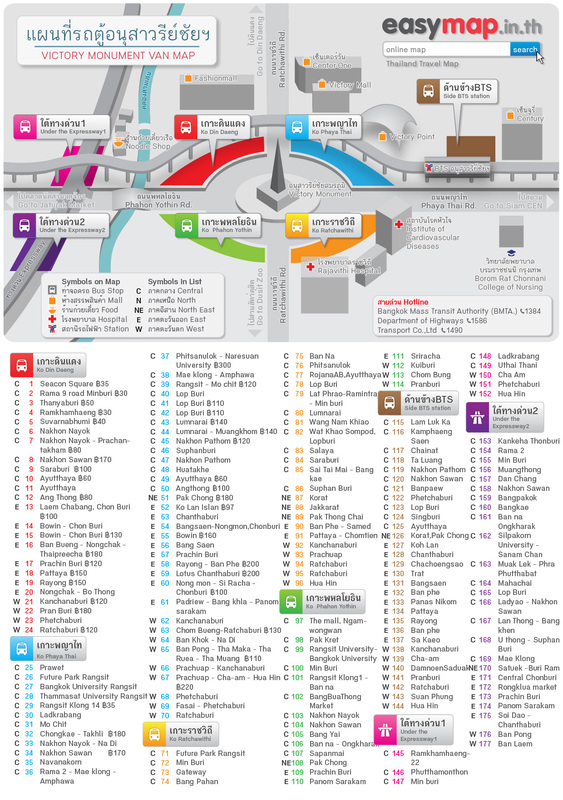 To get here make your way to Victory Monument in Bangkok on the BTS Skytrain and head out of exit 4. Use the footbridge to cross over the main roads and head down to street level. There will be minivans around the roundabout heading to various places once they fill up. The bus to Maeklong leaves from under the expressway (purple on this MAP). You may have to ask around or shout where you want to go (pronounced Meh-glong) to get the attention of somebody to put you on the right bus. This should cost around 70B one-way and takes 90 minutes. 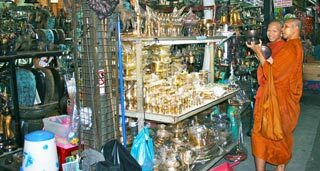 The minivan will drop you off just next to Maeklong Railway Market. 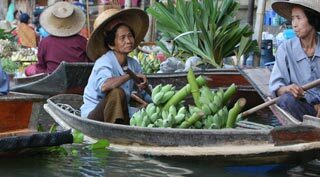 Amphawa Floating Market is then just a 15 minute songthaews (8B) (local taxi-trucks) ride away, Tha Kha 25 minutes (20B). The trucks are parked up at the main junction, just walk over and ask for Amphawa/Tha Kha Floating Market. 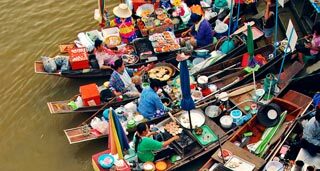 It is only 10km between Tha Kha and Amphawa so you can try get private transport direct to save time, or just head back on a songthaews to Maeklong then to Amphawa.